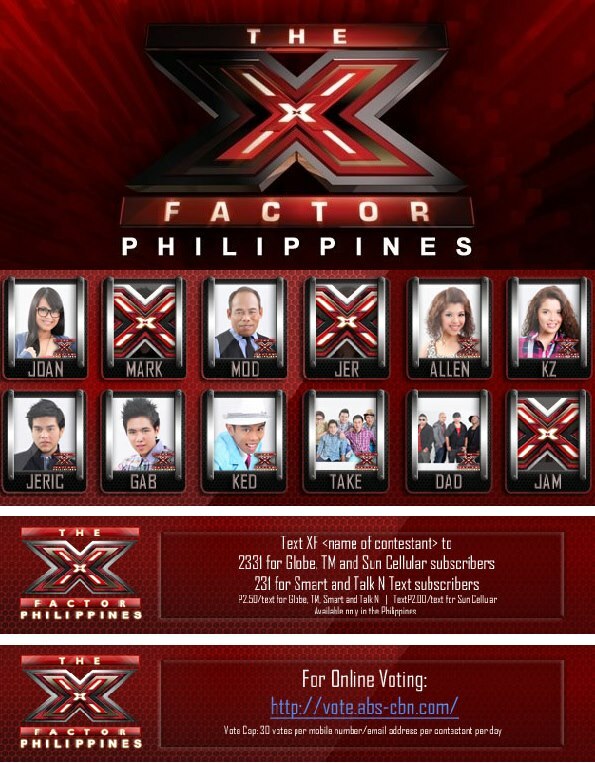 It’s the X Factor Philippines Performance Night tonight on its 4th week with 9 contestants remaining. Last week, we said goodbye to AKAJAM via deadlock. They were one of the best contenders when the live show started. I thought they’d make it to the finale. Unfortunately, they were voted out. All three stood out tonight. The boys’ category is the only bracket which still has 3 representatives. There were no notable errors unlike last week (Week 3) when almost all of them, not only the boys but other contestants in all four categories messed up. Both Jeric and Gabriel’s songs were perfect for their tone of voice and vocal range. So their musical strengths had been revealed tonight. In fact, the boys’ mentor Martin Nievera noticed how Gab had transformed and matured from a little boy who cried over spilled milk last week due to a weak a performance into a little man this week with his song. The song most likely reminded Charice about her recently deceased father who was killed over a petty drunken quarrel. Kedebon, as always can be considered a party monger minus the alcohol of course. Although some of the words he sang are still inaudible like last week. Like Jeric and Gabriel, Allen’s voice stood out tonight too. With a rap interlude, her performance is refreshing. It’s something we haven’t seen yet from her and from everyone else. As for KZ, she wows the live PAGCOR crowd and home audience as usual. Mentor/judge Gary V. just commented about the theme of the song. To the rescue is the girls’ mentor Charice; who, in defense of her singer and the song choice she actually suggested said it wasn’t about KZ anyway but the deceased singer’s life. Obviously, it was once a real life anthem for Amy Winehouse. I agree that despite what the song connotes, KZ’s voice and music genre is ideal for it. Joan’s unique voice was also evident in her song tonight. The same applies to Modesto, despite diction issues. Ms. Pilita, the group’s mentor was not defensive but rather acknowledged that it’s something common among people from down south. She herself hails from Cebu. Both remaining groups have something to prove since they have been in the bottom two during the previous weeks. They did deliver the goods tonight although Daddy’s home is missing one member. But we’ll never know how everyone’s going to score on the results night tomorrow. You know how it is. You’ll never know who hits the bottom two. It’s all about who impresses the audience more. We don’t need belting out. A heartfelt rendition is more than enough. Still, the results are always surprising. So let’s all just be surprised when the final 8 names are announced. In case you haven’t voted yet, please click on the image below for a larger view of the picture. You will then see instructions on how to vote. Voting lines were opened after the last performer for the night and will remain open until announced during the results night. For now, this has been a great X Factor Philippines performance night, let me say!